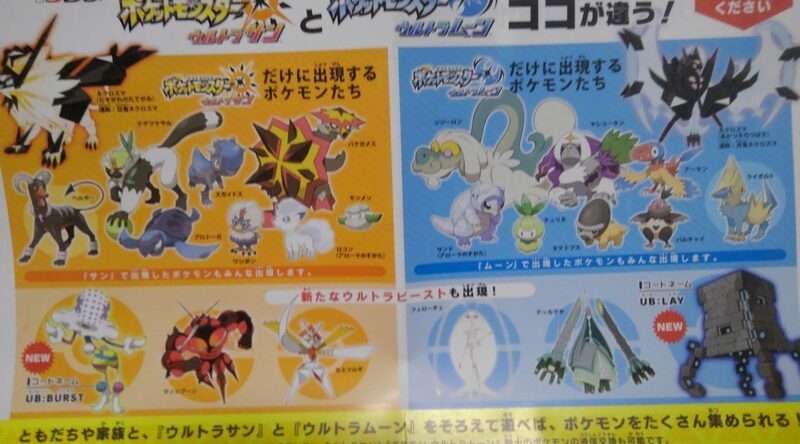 A Japanese flyer showing what appears to be version exclusive Pokemon in Pokemon Ultra Sun and Ultra Moon has surfaced online. Each version will have 1 exclusive Cover Legendary Pokemon, 8 exclusive Pokemon, and 3 exclusive Ultra Beasts. See them in full detail below.